Megan Bennett, the new Region 12 schools superintendent. 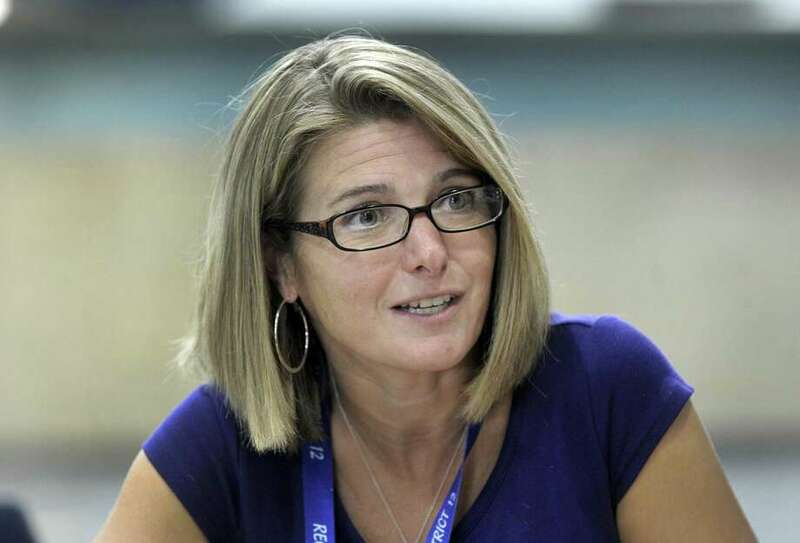 WASHINGTON — Megan Bennett sat at a table in the atrium of Shepaug Valley School, smiling as she watched students walk to their classes. It’s a testament to the type of superintendent she wants to be. Bennett has loved the classroom ever since her first teaching job at Mark Twain School in Hartford in 2000. Having that interaction with students is what drew her to Region 12 for her first superintendent job. She likes how it’s a smaller district where she can still develop those relationships. There are 690 students from Washington, Roxbury and Bridgewater who make up the district. She was excited about the district’s agriscience academy, which will be built this school year and open next fall. The program will train students for careers in the agriculture industry, while also focusing on the STEM subjects: science, technology, engineering and math. An agriscience teacher started this year and is busy developing the curriculum, teaching foundation agriscience classes at the seventh- and eighth-grade levels and marketing the program in area districts to encourage students to attend. The program will serve 139 students from Region 12, Danbury, Brookfield, New Fairfield, New Milford, Newtown and Sherman. Bennett said she appreciates the potential for the program and how it can elevate not only the agriscience students, but all of Shepaug, especially by using input from staff and students to develop the program. The program is expected to meet a demand for this type of training because there is a waiting list for the program at Nonnewaug and officials say it’s a growing industry. The agriscience academy at Shepaug is also seen as a way to bolster Region 12’s declining enrollment. Advancing the agriscience academy is a main focus of Bennett’s 90-day plan. Long-term, she hopes to work with school officials to determine how technology is used to enhance education in the four Region 12 schools, as well as the agriscience program. The same dual approach will be applied to determining the vision of what a graduate from this program and Shepaug should look like — another of her long-term goals. “If we’re a reflection of our community, then we need to listen to what our needs are,” she said. Bennett, who earns $175,000 a year in her new role, will hold a community conversation Oct. 4 to gather input from residents, as well as offer more information on the agriscience program. Bennett decided to become a teacher because she wanted to ensure that students would have learning experiences that would foster change. She likes to challenge herself, which is why she set her eyes on Hartford to start her career after graduating from Siena College with a degree in psychology in 1999. While teaching in Hartford, she earned a master’s degree in elementary education from Central Connecticut State University in 2004 and a master’s degree in educational leadership from Sacred Heart University in 2005. After more than a decade as an elementary school principal, working in Southington, Rocky Hill and Taunton, Mass., Bennett decided it was time for another challenge and applied to be Region 12’s superintendent. She said she was nervous to transition to superintendent, where her scale of administrative decisions has grown, but said the staff at Region 12 has helped.